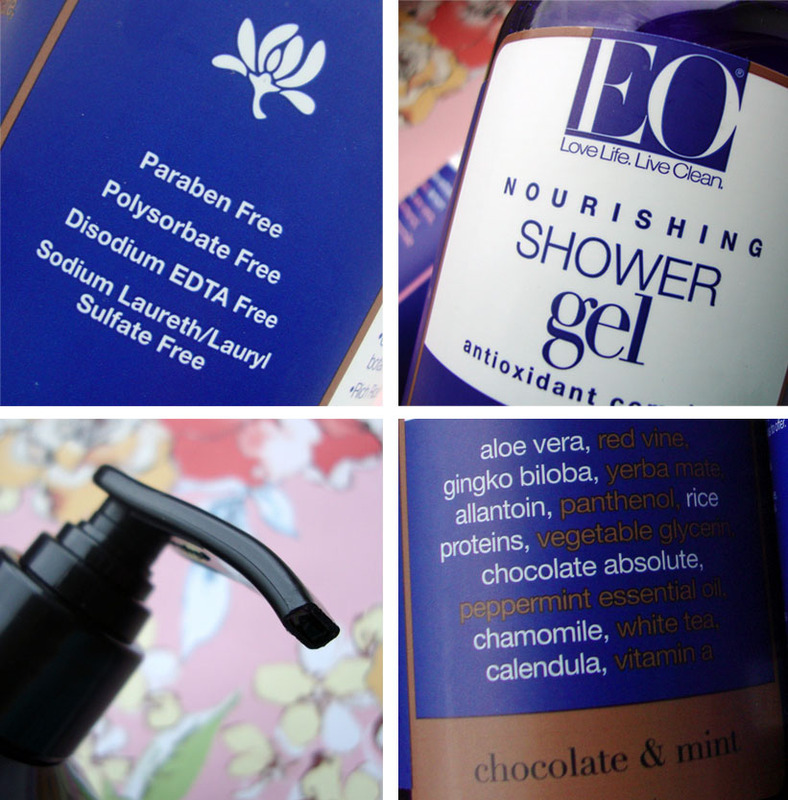 B U B B L E G A R M: New Favourite Shower Gel: EO Chocolate and Mint..
New Favourite Shower Gel: EO Chocolate and Mint.. I was sent two of the shower gels, and am OBSESSED with the chocolate and mint version. It smells just like 'After Eight' chocolates, very chocolaty and minty. It really has made my showers oh so enjoyable and awakening. Words can't describe how much I LOVE the scent, I think I prefer it to my all time favourite shower gel which is L'occitane's cherry blossom. FYI:The EO rose and chamomile shower gel is a bit blah. The gel itself is clear and lathers up really nicely with my exfoliating gloves! The packaging is very similar to Neal's yard, however the container is made from navy blue plastic instead of a glass bottle. Price: £12 (480ml) Find out more HERE. What's your favourite shower gel? Disclaimer: I was sent the products for review purposes, I did not get paid for this post and am not affiliated with the brand. This is my honest opinion as always. Please note, when communicating with PR companies I make it very clear that I do not guarantee reviews let alone favourable ones. After Eights in the shower??! I want ten! The shower gel sounds lovely, i think its great to have products and companies that aren't so mainstream featured. I once had a showergel that smelled like freshly cut melon but it got discontinued :( I still haven't found a close match to it! Actually my holy grail shower gel is Natusan baby liquid soap. It's so mild to the skin and smells like a little baby ;) Love that! @Emily the treacle moon onces smell lovely! @Michelle lol, yes I fancy chocolate all the time :D not good! I will definitely be tracking this down - mint chocolates are my favourites (I adore After Eights!) I don't have a favourite body was, I tend to be a bit fickle with this type of product, maybe I just haven't found the "one" yet! Ohhh a chocolate and mint shower gel, that sounds so yummy! This stuff sounds really good! Will have to try it out! I also love that its free of all those chemicals! ooh! yet another brand to try out! but i find it odd that the only shower gels they have listed are french lavender. My current favorite is an H20 shower gel in ginger citron. I got it from TJ Maxx and love it so much!